Our homes are our most comfortable and secure spaces. They are where we connect with those we love and share our everything. Since they epitomise both sentimental and physical wholeness, the way you craft your home often reflects who you are. 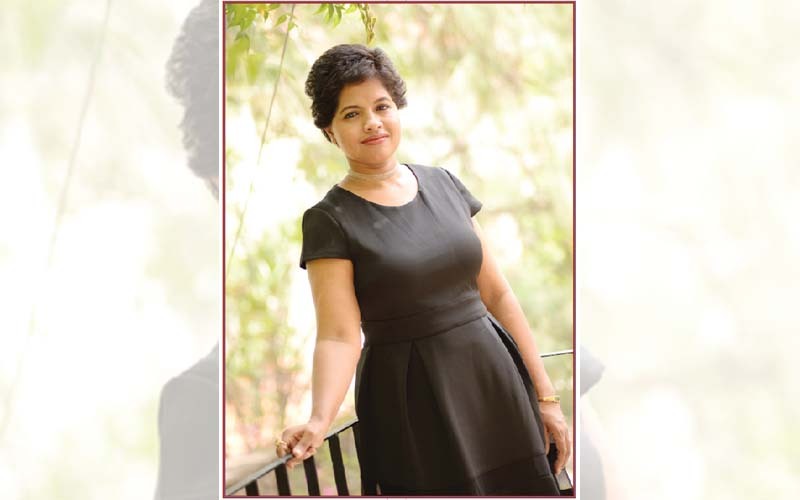 From vast villas in the city’s plush areas to large corporate office hubs, Anusha Thota’s design firm, Bigworks Design, creates beautiful concepts that are not only inspiring but also do a lot to convey your personality and brand. Versatile and recognised for her clever handiwork, she pours all her passion into every project, giving each of her clients more than what they expect. Maintaining a reputation for outstanding finishes and designs, here she discusses her working style, creative processes, and more. What led to your passion for design? After analysing my creative instincts, I decided that this was the way to go. Amusingly, it wasn’t until a dear cousin of mine, Shiva, encouraged me to get into this field that I realised my passion for designing. And after completing a course in architecture, it’s the extraordinary support from my husband, Sriram Thota, that led me to where I am today. I’m inspired by many things. But nature has the most influence on me, which often reflects in my work. Is there anything that you feel makes you stand out among other designers? Apart from adding functionality and aesthetics to a space, I incorporate the most important aspect called emotion into my designs. This is what connects the space with the person using it. Also, I am constantly striving to make things better – to bring comprehensive improvement to the projects I handle. What do you find most frustrating about your job as a designer? And most rewarding? The most frustrating aspect of my job is the deadlines, and the most rewarding is the outcome. From my perspective, designing is not about just putting fabrics or colours together. My job doesn’t end after making the design concept. It begins with the vision I create, and only ends after achieving a sense of completeness and my client’s satisfaction. Is design an art or a science? I believe it’s an amalgamation of both! While they go hand in hand, the outcome of any design cannot be independent of these two characteristics. For me, coming up with a concept is art; determining the technicalities, like elevations, calculations, and floor plans is the science aspect of it. How would you describe your working style? The first thing that comes to my mind when I start a new project is light. I create spaces with natural lighting. As the principle of reflection says that without light, there cannot be colour, light is the first resource I consider while designing. Next, I design spaces in muted or neutral backdrops, and bring in colour in the form of furniture and accents. This way, if my client is bored with a certain design after a period of time, he or she can give a makeover by just replacing the furniture and accessories. Having said that, I must also share that my designs are a fusion of classic and contemporary. I’d like to bring old-world charm to modern aesthetics, to give my clients the best of both worlds. What have been some of your favourite projects? All the projects I take up are close to me, since I put my mind and soul to designing and executing them. They reflect a part of me and my style. They are all unique in their own way, and it’s hard to pick a favourite! If you had to pick one project around the world that you wish had been made by you, which would it be? Villa Savoye by Le Corbusier. What is your favourite vacation spot? I love travelling! Any place that helps me make beautiful memories with my family and friends is my favourite. How do you relax after a hectic day?